Ran 4.03 miles, 9:32 pace. Easy, but I was really cold so it took a while to loosen up. Best day of work. Ever. Today was our “team bonding” day for my department. 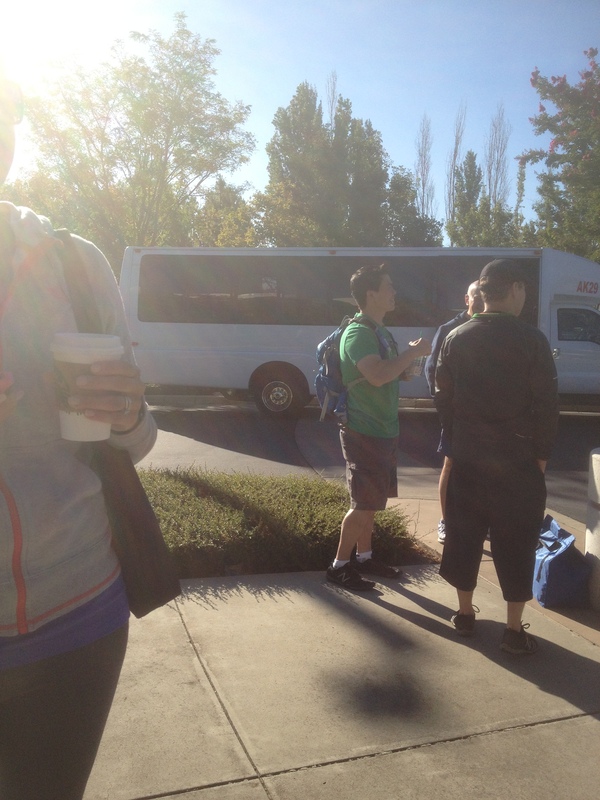 We met up (at work) at 8:15AM and boarded our bus at 8:30. BTW if you hate photos, probably best to leave now. 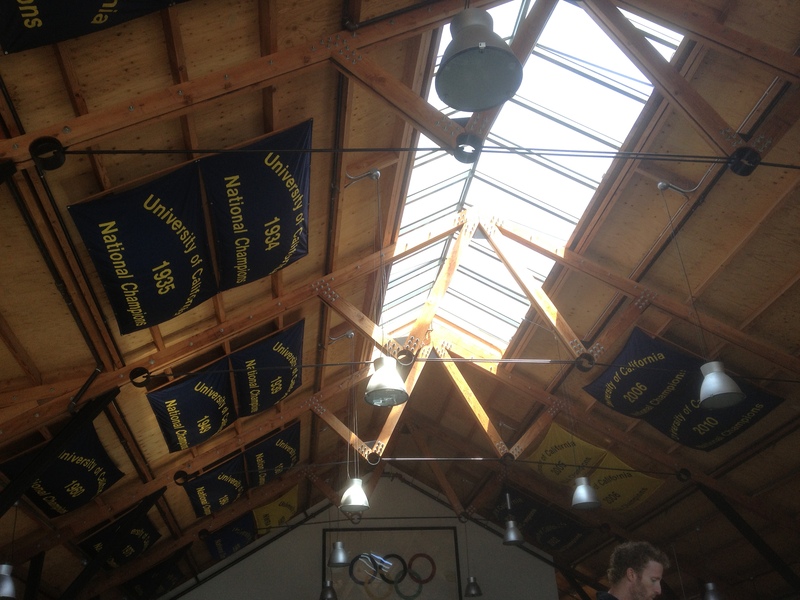 We drove to Oakland to the Cal Rowing Team’s boathouse! 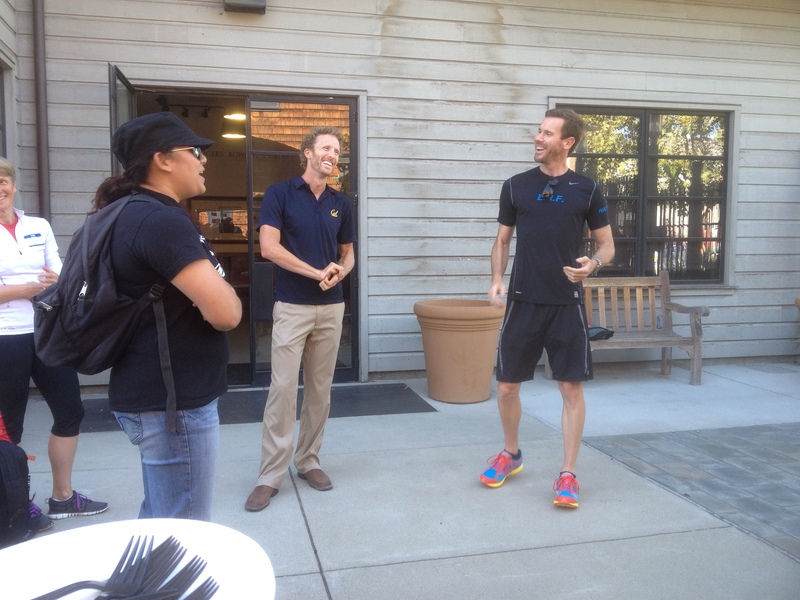 We were greeted by 2 men, Luke Walton and Scott Frandsen. 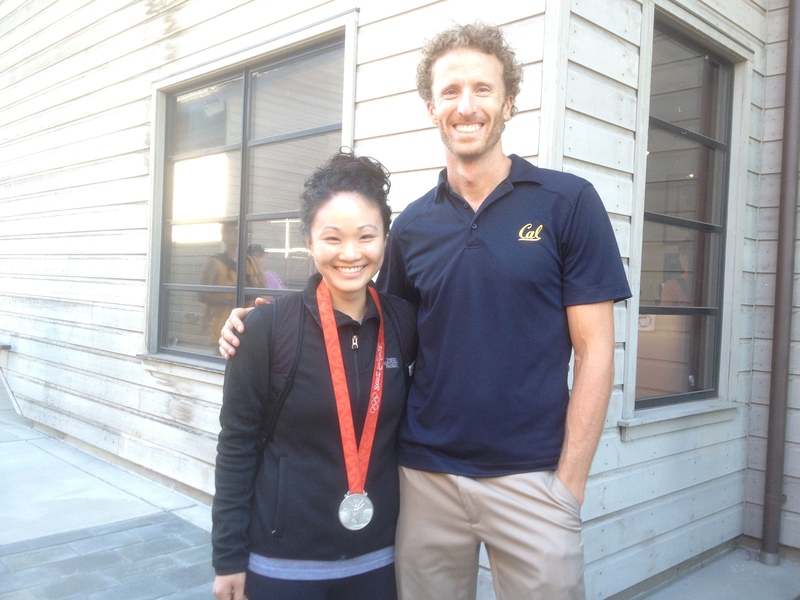 Both UC Berkeley alumni, former Cal rowing team members, oh and Olympians. Have you ever met someone, discovered all their achievements, and then felt like you’ve done nothing with your life? Yeah well, I met 2 of those types of people- except they are both incredibly humble and don’t make you feel like a turd (only my reading their bios make me feel like said turd). Luke Walton graduated from Cal with a degree in Politics, and then pursued his graduate degree at Cambridge University. damn, “dumb jock” doesn’t apply here. 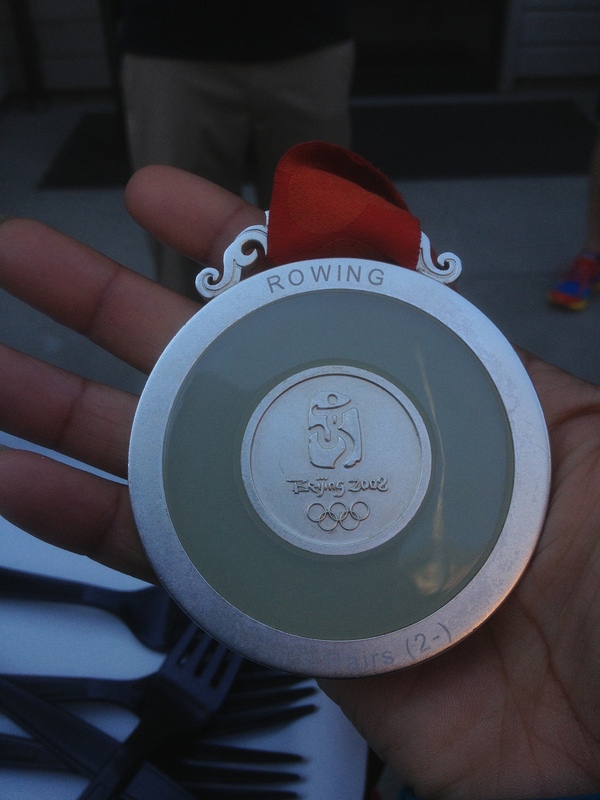 He was a member of the US National Rowing Team and a member of the 2004 Olympic Rowing Team. During his collegiate career, he was undefeated- aka the SOB never lost a heat, semi-final, or final. bitter much? I’m only kidding, he was a really cool guy- very charismatic. Scott Frandsen also graduated from Cal but with a B.S. in Business Administration (from Haas School of Business), and then received his Masters from Oxford. good for you. i brushed my teeth and checked email at the same time this morning. again, i kid. 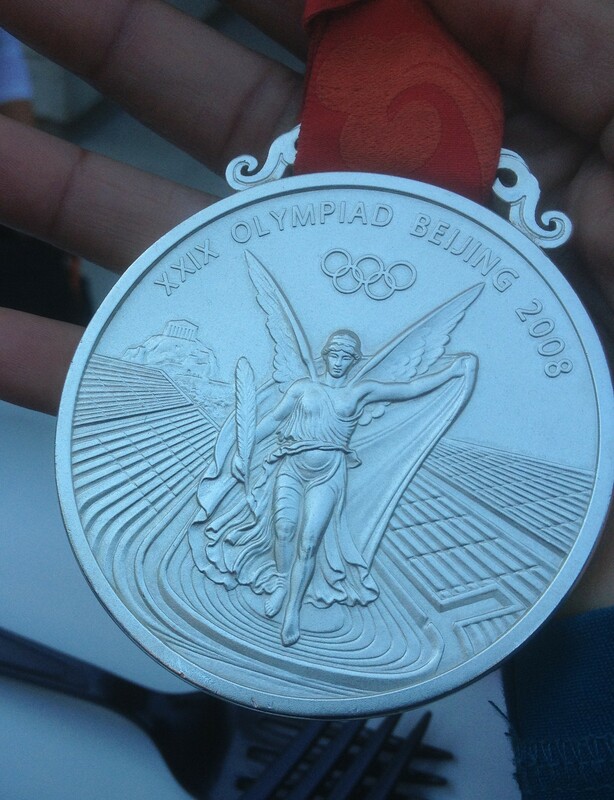 Scott is a 3-time Olympian, and earned a silver medal in the 2008 Olympic Games! I actually got to hold the medal! This isn’t my hand in the pics because apparently I cannot multitask e.g. hold an object whilst taking a clear picture. The back has jade in it. I want one for Christmas. Or birthday, I’m not picky. 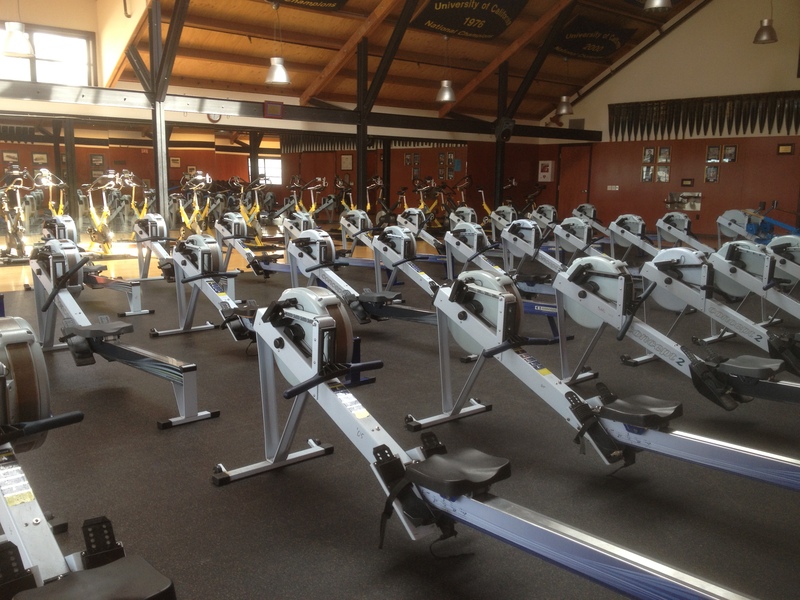 After lunch was a PowerPoint presentation- Learning about rowing and workplace analogies. Again, it wasn’t even close to boring or cheesy. After the presentation, we got to go out on the water and try rowing. Unfortunately I’m not in these pics because to carry the boat, it’s easier if everyone is near the same height (carried on your shoulder). If my shoulder is close to a foot lower than everyone else, I’m carrying the thing over my head and not really helping anyone. 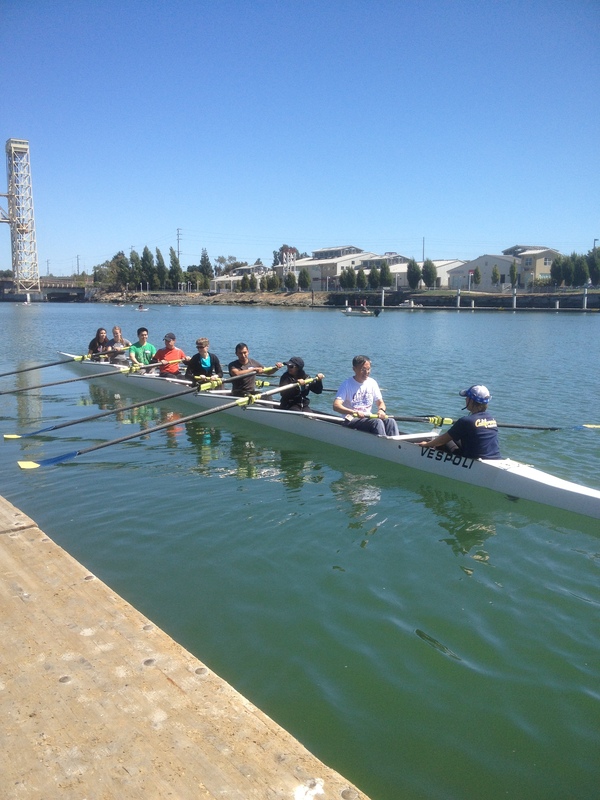 We had a Cal Women’s Rowing Team coxswain to help out. 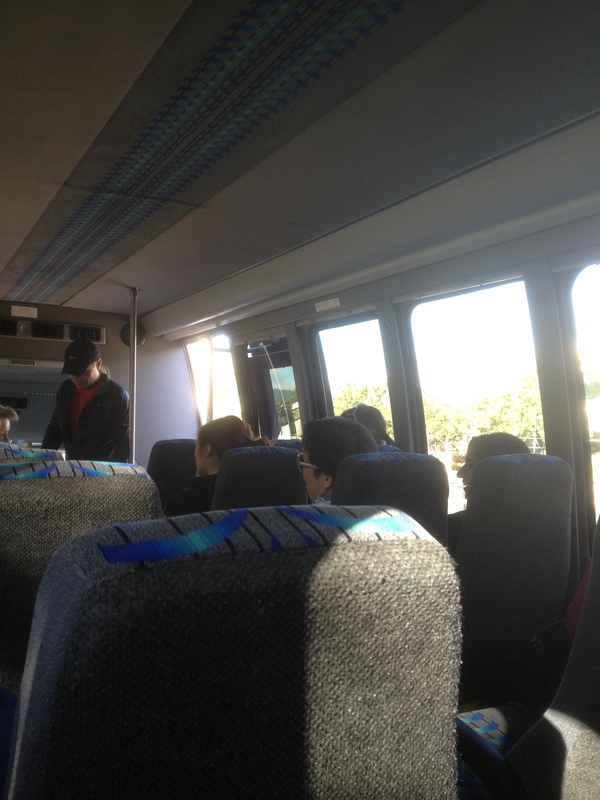 Here’s the first group that went. I have to be honest, today I did NOT actually get in the boat and row. 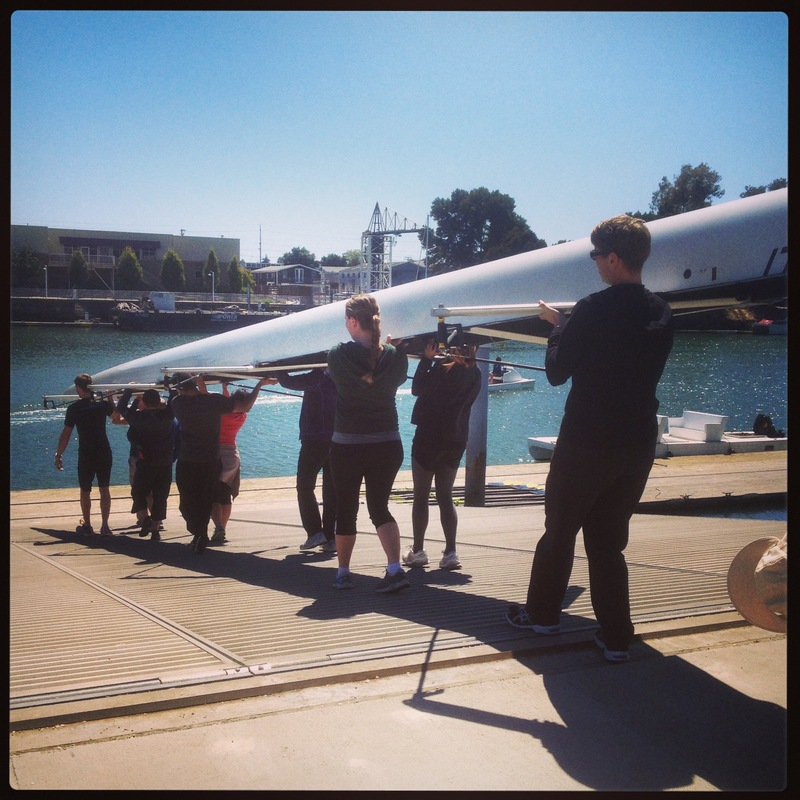 While at Cal, I tried lightweight crew and I couldn’t handle the water. 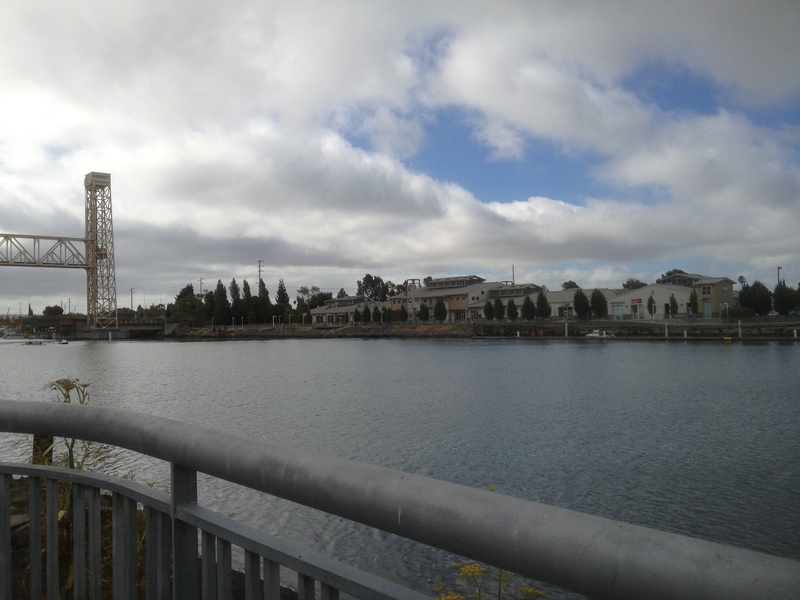 I have an intense fear of large bodies of water and can have mini panic attacks once inside. I tried out the team to try to break that fear and a sport that I think I would be good at, but it did not work. Plus they told me I was too small and wanted me to be a coxswain even though I was out rowing some taller girls. sizest! I had every intention of getting in today, but when they started asking who wanted to try, I could feel a mini panic attack coming on and I did not want to do that out in the water and ruin everyone else’s experience. That was pretty much the end of the day. We put everything away and they gave a closing speech. Scott brought out his medal and we each got to hold it. I asked if I could get a picture next to him while he wore it, and he said he can wear the thing any time and that I should put it on. damnit the dude is thoughtful too. One of my “hobbies” is meeting/spotting famous people. 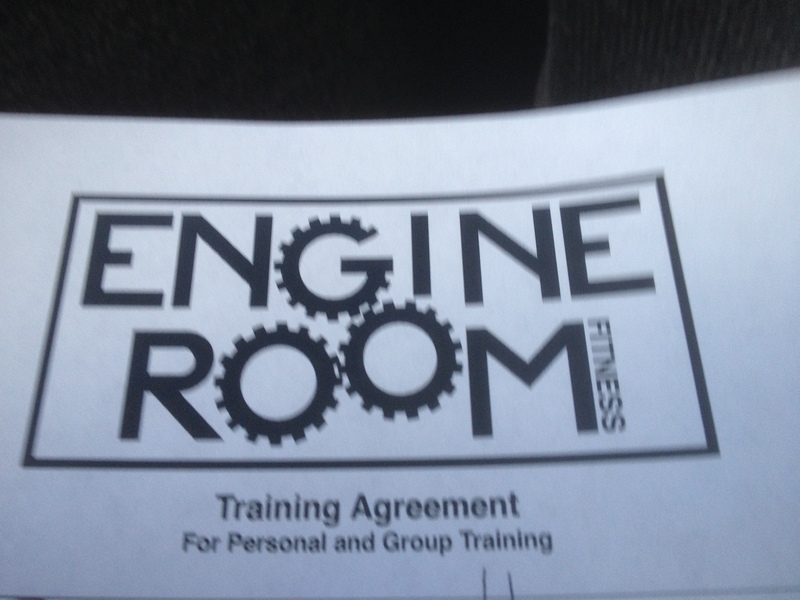 I know that’s super lame, but I think that’s in perfect keeping with everything else I do. Back to my point; meeting/spotting movie and TV stars brings me all sorts of jollies. 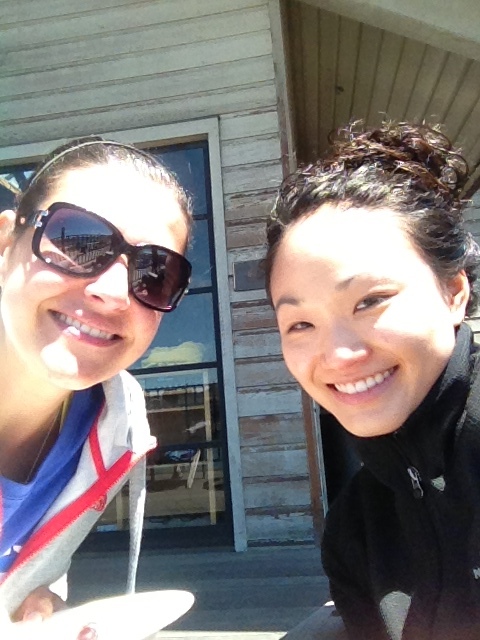 However, in my book, meeting an Olympian is on a whole different level of awesomeness. This was probably one of the coolest things I have done. Not everyone can say they met 2 Olympians and wore an Olympic medal. What an awesome day for you!!! Awesome is the only word I can think of! What a great experience to cherish forever.